In truth, I didn’t expect to like driving the Levante. I had very much grown up knowing Maserati as a specialist in Grand Tourers with models such as the Maserati 3200 GT and the Quattroporte (5th Generation) and so this sudden move to SUV struck me as somewhat opportunistic rather than impassioned. It was hard for me to see how they would be able to capture the essence and elegance of what it means to be a Maserati in the 4×4 format. I need not have feared; having seen the elegant silhouette of the Levante and that signature concave grille, my optimism was suitably changed, and once I had sat inside, that sentiment was somewhat amplified. The signature grill pays homage to historical Maserati models like the Tipo 60 Birdcage. The interior of the Levante was reassuringly familiar, to such an extent that if I was yet to see the car exterior, you could have convinced me that it was their flagship model – the Quattroporte – with the opulent leather-clad seating, opulent dashboard and striking instrument panel glowing directly ahead. One tangible benefit of an SUV interior space and the Levante has that in droves. The 5-metre long Levante is the longest car in its segment and in fact its 3-metre wheelbase is 6-10 cm longer than that of its major competitors. The luggage compartment of the Levante boasts versatile load space of 580 litres, while in the interior, the rear seats comfortably accommodate three passengers thanks to the long wheelbase and the wide body. The Levante is based on the evolution of the saloon platform, designed exclusively by Maserati. The chassis has been specifically developed to offer unique on-road drivability and competitive off-road capability, with day-to-day comfort and practicality – and it shows. I put the Levante’s 4×4 capabilities well and truly to the test on a steep, windy, muddy terrain in the Costwolds, and it didn’t bat an eyelid, and better yet it pretty much did the work itself. The SUV features an ‘Automatic Off Road’ mode where all you have to do is to steer; minor adjustments to the speed can be made via a simple ‘up/down’ button on the steering wheel. 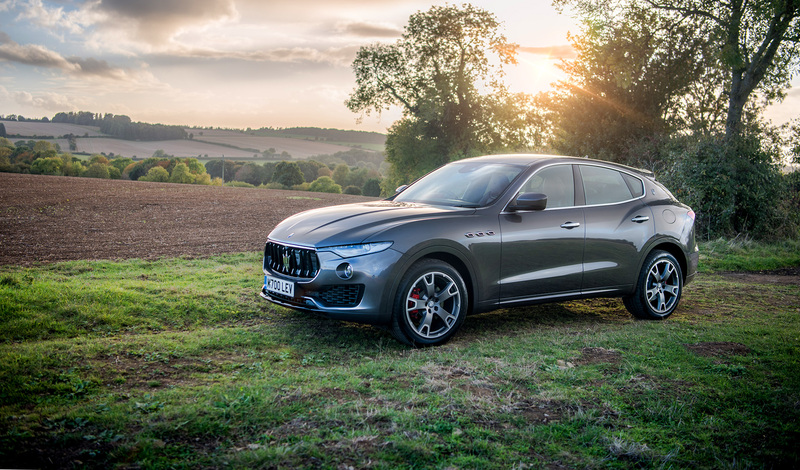 The Levante is not just good off the track, but on it too. This is in no small part due to a best in class aerodynamic efficiency and the active air suspension which reduces the car’s height by 35mm helping the SUV to an impressive 0-60mph of 6.9 seconds. The premium Italian SUV was conceived around three main pillars: Design, Exclusivity and Performance but I think they should have added one more – Class. It’s an attribute that is hard to quantify but the Levante captures that and more in a mid-priced SUV with, a luxury interior and a genuine 4×4 performance.